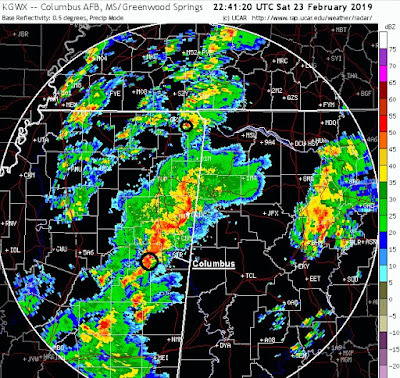 The April 13-14 tornado outbreak across the southern states killed 3 people due to tornadoes (2 in Texas, 1 in Mississippi) and, sadly, several others died due to wind and flooding. 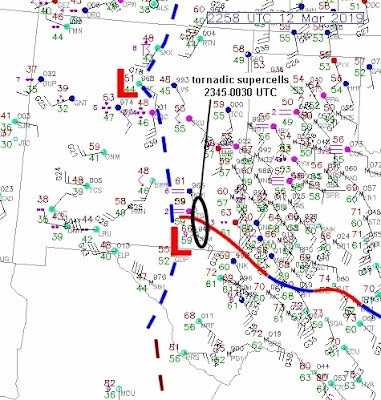 Tornado-wise, there were at least 10 EF2 tornadoes and 2 EF3 tornadoes on the 13th. 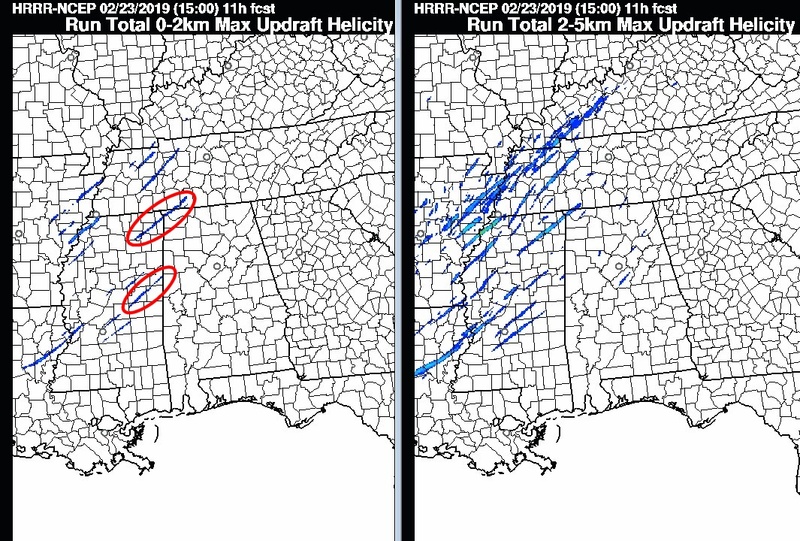 The tornadoes pictured above were near Hearne, Texas (EF3) at late morning, and at Vicksburg, Mississippi at late afternoon. Damage is also shown in east-central Texas between Weches and Alto where 2 people lost their lives in a tornado around noon-time. Unfortunately, two children also died nearby in a vehicle from a falling tree in severe thunderstorm winds. 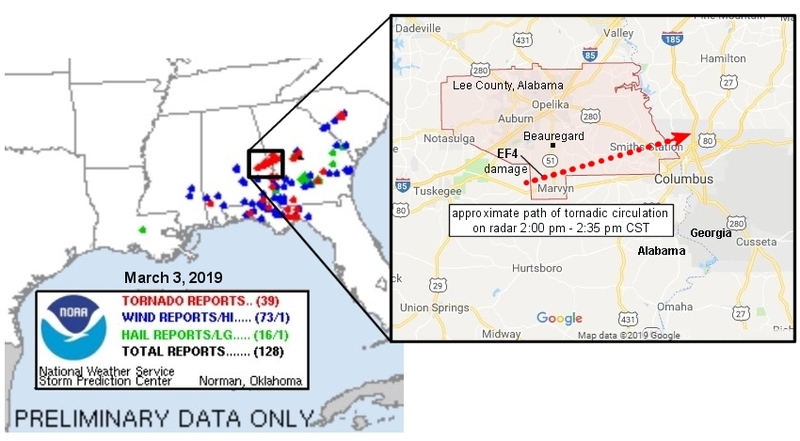 The outbreak was forecast well by NWS meteorologists, the third deadly tornado outbreak across the South in 2019. I won't do a detailed analysis here, as there was nothing particularly unusual about it. 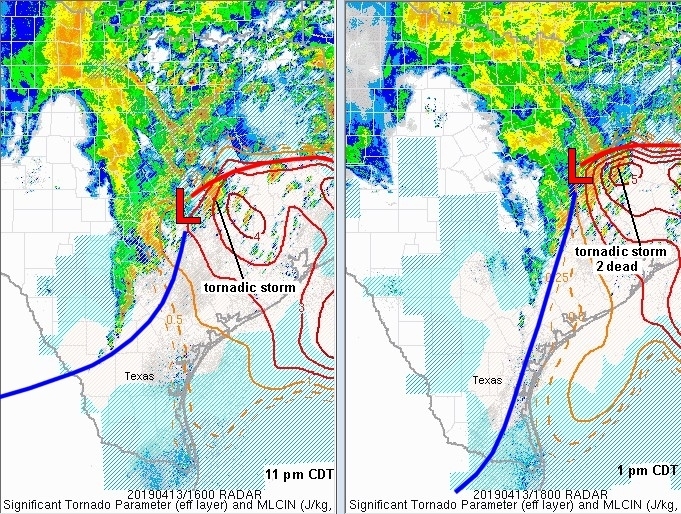 But I did want to point out how most of the strongest tornadoes occurred with storms near and just south of the warm front that moved from east-central Texas to northern Mississippi during the day. 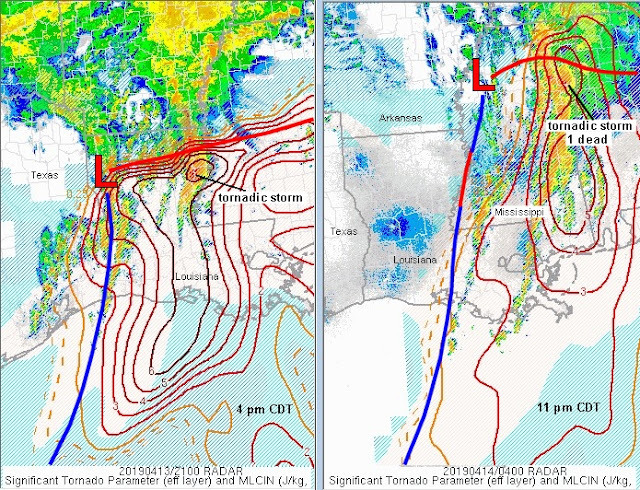 Even though environments well south of the warm front also looked favorable for tornadoes, the area along and just south of the warm front tended to provide the focus for most of the tornadic storms in this outbreak. 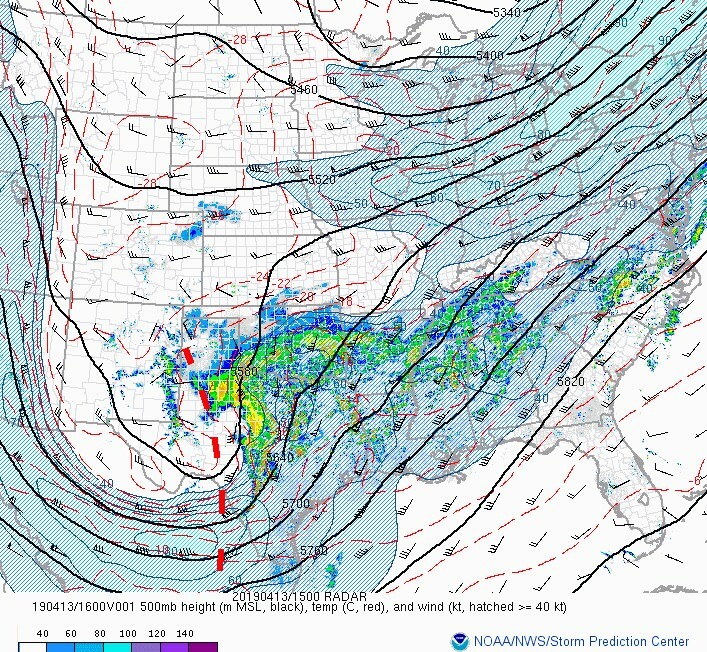 So, along with this strong upper system, the strong surface warm front and unstable/sheared environment ahead of the surface low generated a number of tornadoes. 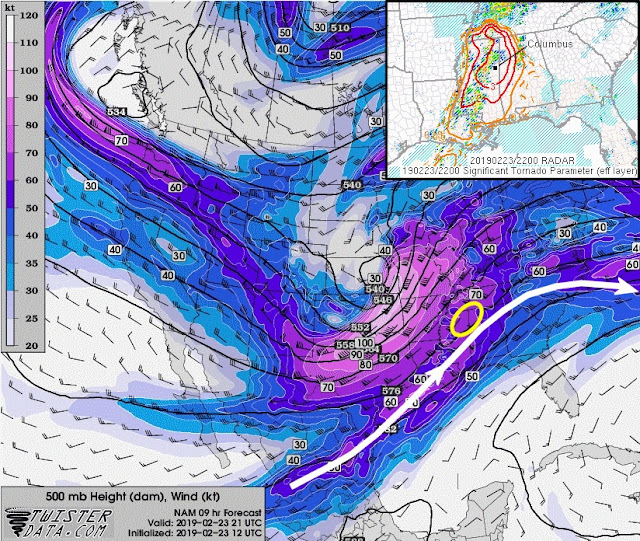 Even with a strong southern jet stream propelling storm systems across the southern U.S. so far this early spring, periodic intrusions of cold air from Canada from a northern branch jet stream over the Great Lakes have kept tornadoes away from Kansas and Oklahoma so far in 2019 (Kansas is off to it's 4th slowest start for tornadoes since 1990, similar to last year). We'll see if that changes soon. The so-called "bomb cyclone" that caused hurricane force winds and record low pressure in the Plains on March 13, 2019 also brought tornadoes (see photos above) to southeast New Mexico (NM) on March 12 and to the Ohio Valley on March 14. 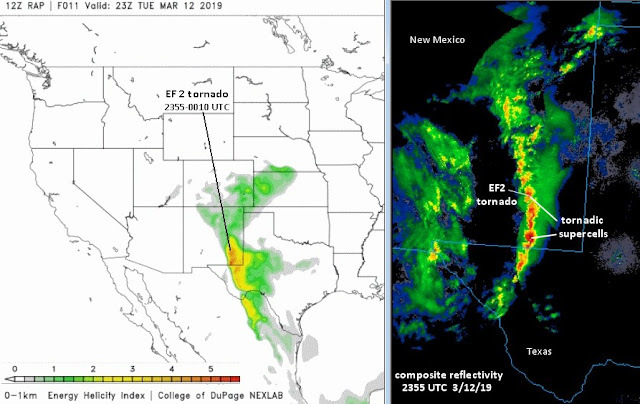 The tornadoes at Dexter and near Malaga NM on March 12 were the earliest EF2 tornadoes ever recorded for the state of New Mexico. Interestingly enough, no tornadoes occurred on the day the surface low was the strongest over Colorado and Kansas (March 13, not shown). 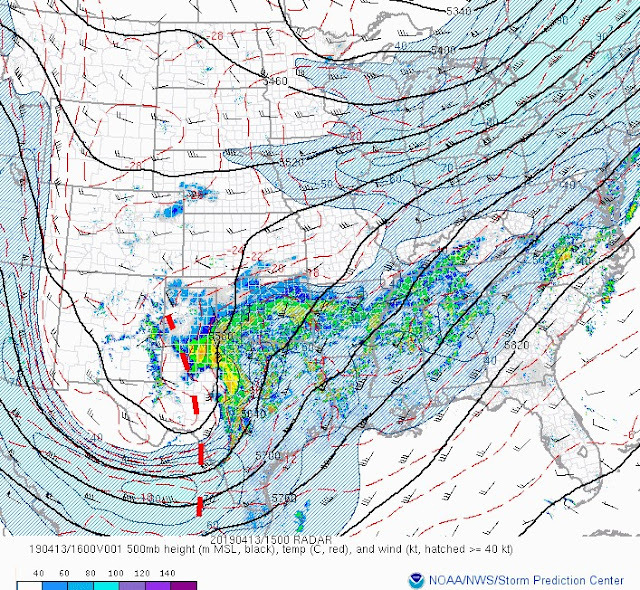 This was because the system was so large and dynamic that it pushed associated surface fronts too far north and eastward, away from moisture and instability. 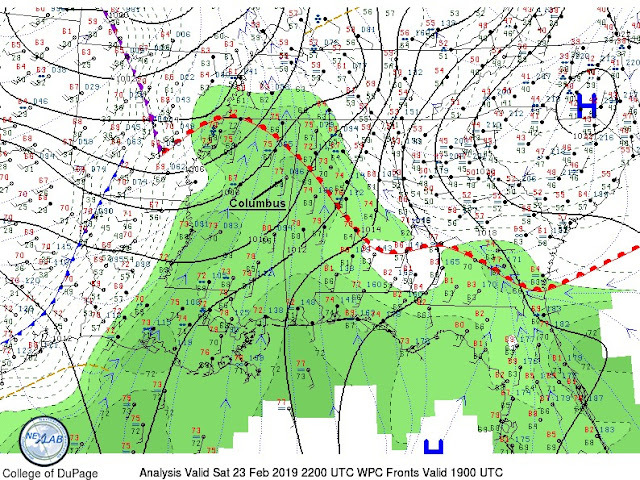 But that moisture recovered again as surface fronts slowed for severe weather on March 14th over the Ohio Valley. 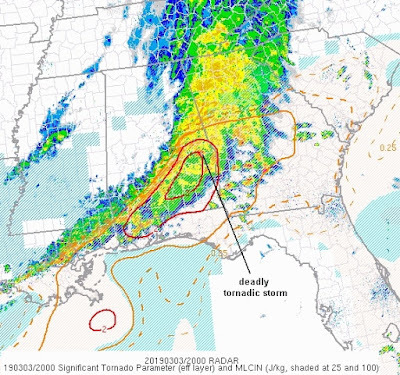 Thankfully, no deaths occurred from any of the tornadoes with this system. But the Colorado blizzard associated with this powerful system claimed at least one life, and flooding in Nebraska from rapid snow melt and heavy rain caused at least one other death. 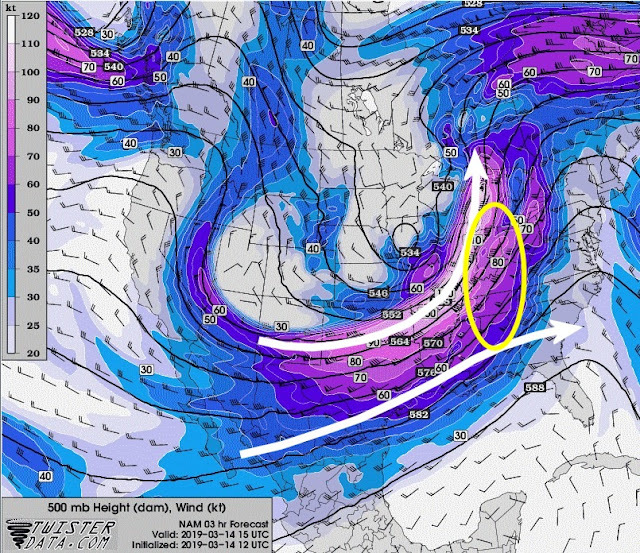 It is good to see that the week ahead will be much quieter weather-wise across the United States! 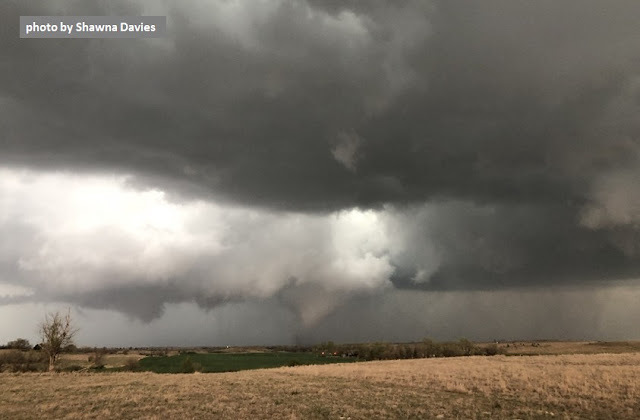 Sunday March 3, 2019 saw the largest death toll in the U.S. from a single tornado since the 2013 Moore, Oklahoma tornado. 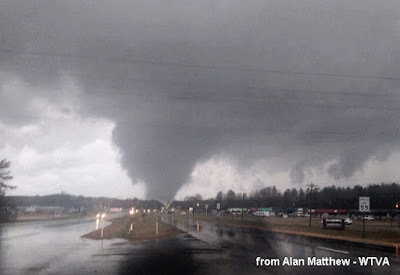 As I write this, there are 23 deaths so far from this EF4 intensity tornado in the Beauregard/Marvyn, Alabama area, and more may be found in the next day or two. (*** UPDATE: As of March 6, all those missing have been accounted for, and the death toll from this tornado stays at 23, with 90 people injured. 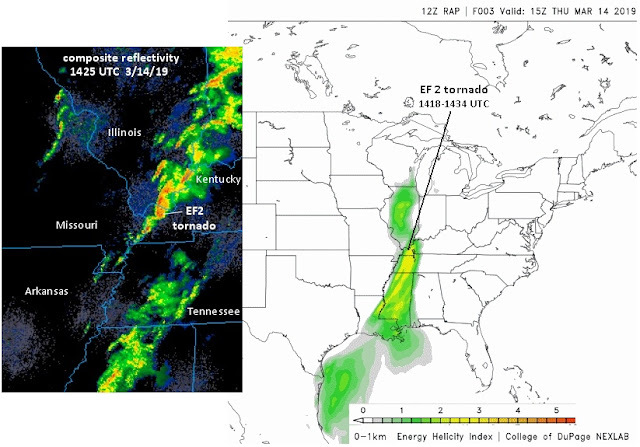 ***) With only 10 total deaths in the U.S. last year from tornadoes, the 3/3/19 event is certainly very tragic. 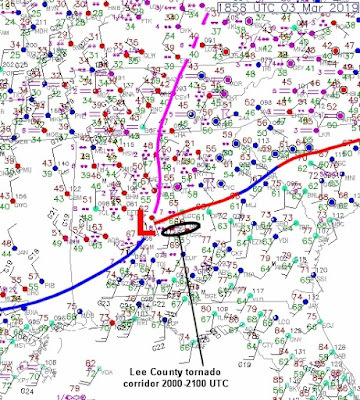 Below is a map showing the approximate path of the supercell's tornadic circulation on radar, and also two radar reflectivity images around the time of deaths in the Beauregard/Marvyn area of Lee County. 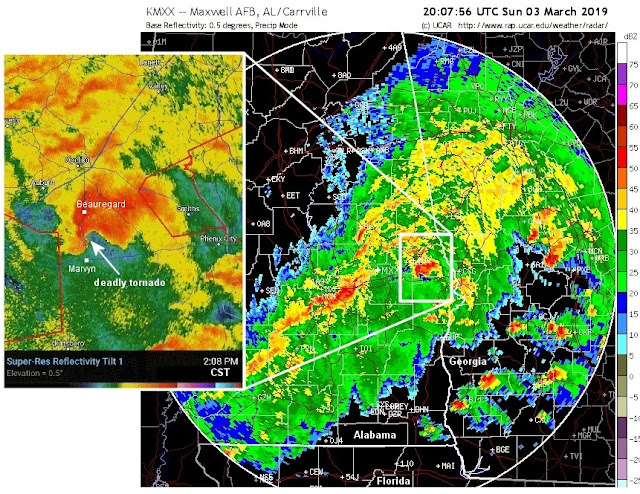 Note the large classic hook on the inset close-up radar image. Later images showed a reflectivity "debris ball" (not shown), and correlation coefficient products from radar (not shown) indicated a distinct area of debris aloft as the tornado moved eastward toward the Georgia border. 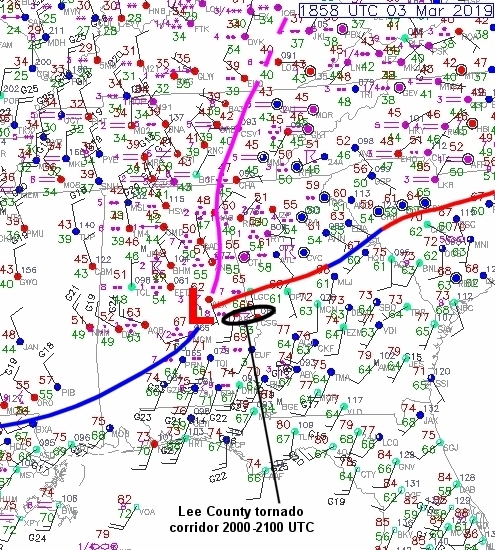 The killer tornadic supercell occurred in a fairly classic position east of a surface low (see surface map below at 1:00 pm CST), with the storm moving roughly parallel to and just south of a stationary front. Severe weather forecasters know this to be a rather favorable location for tornadoes. The NAM model forecast of winds and contours at 500 mb (roughly 18,000 ft MSL) for midday on 3/3/19 showed a midlevel trough disturbance aloft (thick red dashed line below) moving toward the southern states. 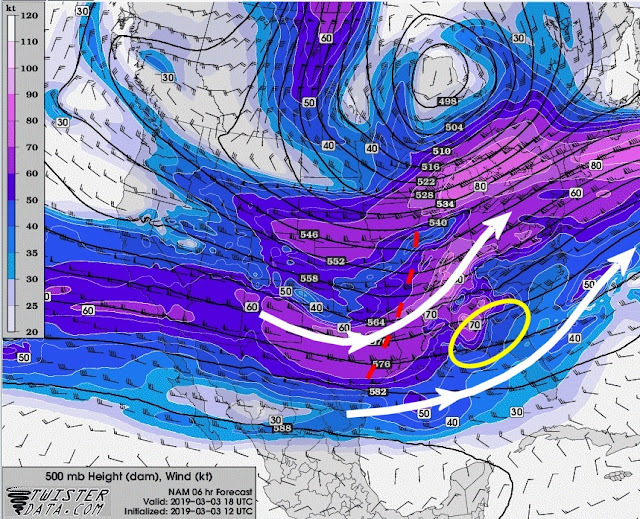 A "spreading" of the jet stream pattern (white lines/arrows) ahead of this trough provided ascent over the area where the 3/3/19 outbreak took place (yellow oval). Winds at this level were also forecast to be quite strong, approaching 70 kt, offering good support for supercells near the Alabama surface low. 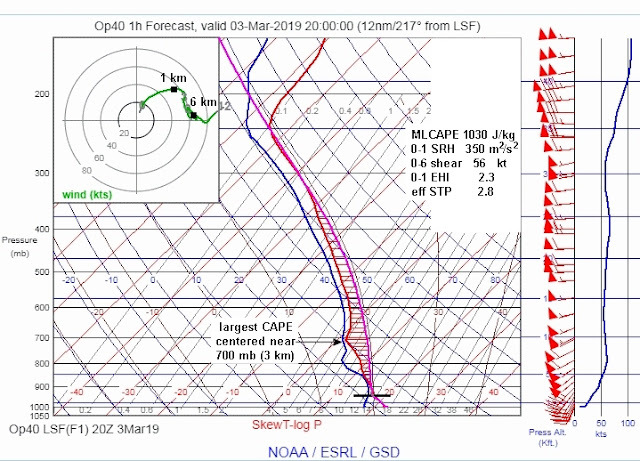 Notice the strong low-level wind shear (around 350 m2/s2 of 0-1 km SRH) and the large looping hodograph (upper left). Winds at just 1 km above ground (roughly 3000 ft) were 50 kt/58 mph, which suggests impressive wind shear for supporting low-level rotation in storms. Although the total CAPE wasn't terribly impressive (around 1000 J/kg), notice how much CAPE was centered around 3 km above ground. This sizable low-level CAPE relatively close to the ground likely helped accelerate air parcels upward in a mature storm supercell updraft, assisting with tilting and stretching of horizontal vorticity from the strong low-level wind shear to support low-level rotation in the Lee County supercell. From all this information, sadly, it isn't a surprise that a violent and deadly tornado developed on Sunday March 3, 2019 in this setting. 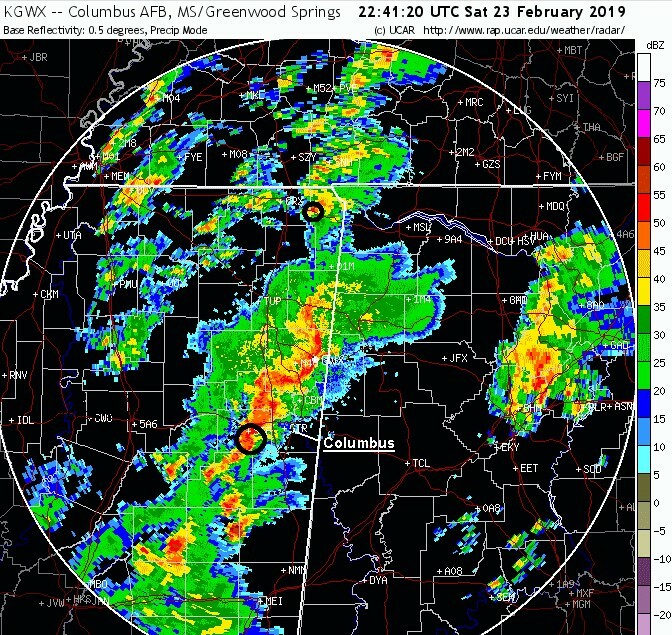 Saturday's EF3 tornado in Columbus, Mississippi (see above) caused the first tornado fatality of 2019 along with several injuries around 5:15 pm CST. A tornado warning was issued for Columbus roughly 20 minutes prior to the tornado striking town, which likely helped save additional lives. 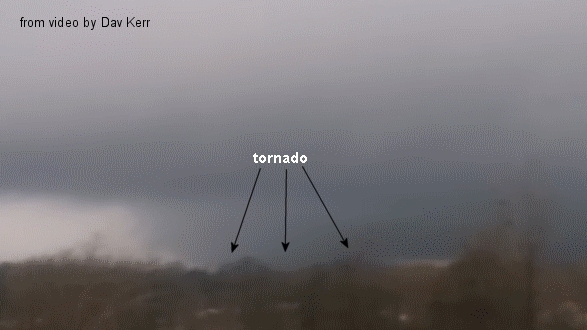 As with so many tornadoes in the Dixie states, the Columbus tornadic storm was embedded in a line of storms, which made it hard to see the tornado at times. 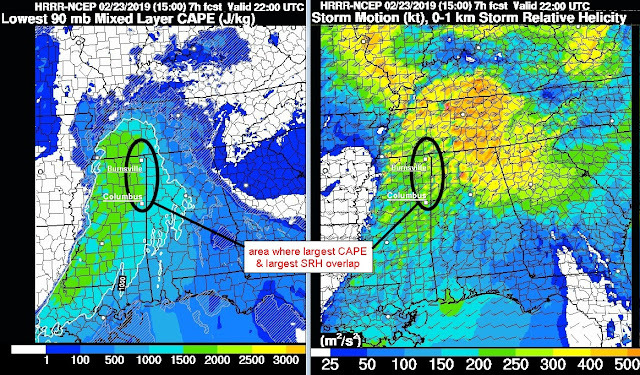 The tornadoes also coincided with an area of large significant tornado parameter values (STP, see inset above) over east-central and northeast MS just north of the southern jet branch at 500 mb, similar to the HRRR forecast of enhanced SRH and CAPE shown earlier. 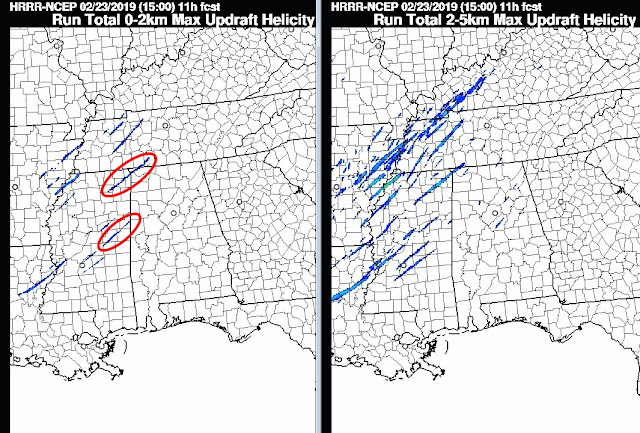 Note that the lowest level (0-2 km) updraft helicity tracks are fewer, and appeared to roughly "forecast" the Columbus and Burnsville tornadic supercell tracks (red ellipses). 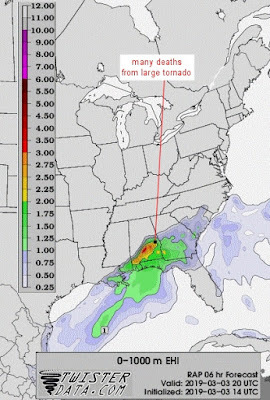 Although I'm not a fan of using updraft helicity forecasts as a surrogate for the possibility of tornadoes (such forecasts need to be combined with a careful assessment of environment), it is interesting that this case suggests that the lowest level 0-2 km layer product may in a loose sense be more useful in "picking out" some likelihood of tornadoes by reducing the "over-forecasting" of rotation tracks often seen in the 2-5 km layer product. Just a subjective observation. 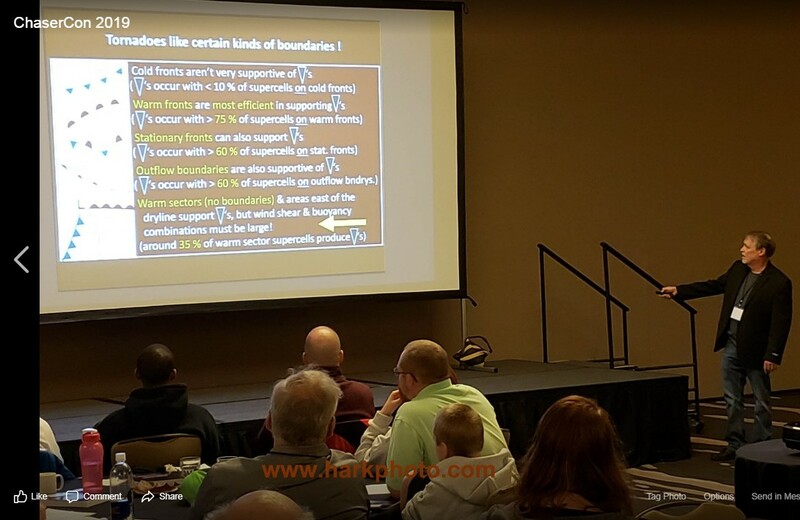 ChaserCon 2019 Forecasting Class slides available online, & "Surviving the Storm" on YouTube! Image courtesy of Bill Hark, from Facebook. ChaserCon 2019 in Wichita, Kansas this past weekend was well-attended, and Shawna and I had a great time talking to so many storm chasers and severe weather enthusiasts! Thank you to all the convention attendees who stuck around on Sunday, Feb. 10 for my class, and thanks for all the great questions, supportive comments, and big enthusiasm about learning how to forecast! I've also had a surprising number of requests for a DVD presentation on tornado forecasting, similar to my class. That is definitely something I'll work on in the near future, so stay tuned. But also be patient, as I have quite a few committments going right now. 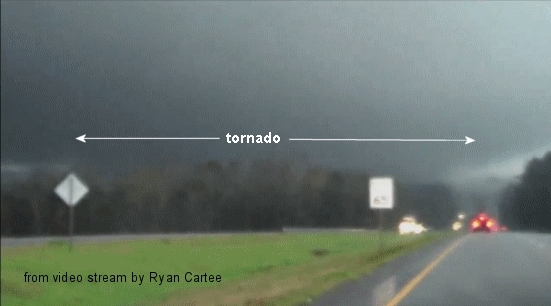 This exciting presentation details everything your loved ones and friends need to know about staying safe from a wide variety of severe weather threats. 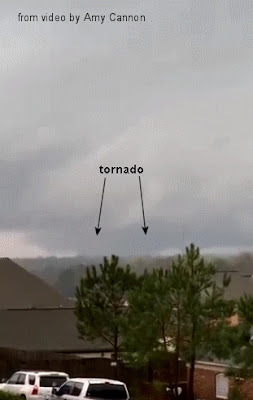 We can "Pay Forward" our passion about storms (as Shawna has done with this outstanding video) by sharing our knowledge about staying safe when severe weather threatens through talks to community groups, neighborhood home owners and apartment associations, church groups, schools, etc. This video (no cost!) is a great tool around which to build a severe weather safety talk, if you have an interest in doing that sort of thing. Tornado Forecasting class at Chaser Con in Wichita on Feb. 10th ! 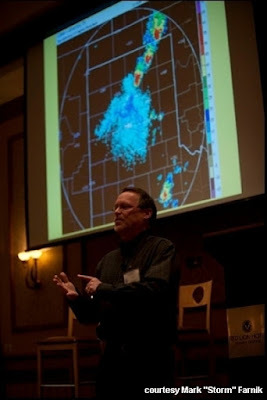 I'm teaching a 3-hour tornado forecasting class at Chaser Con 2019 in Wichita, Kansas on Sunday, February 10. 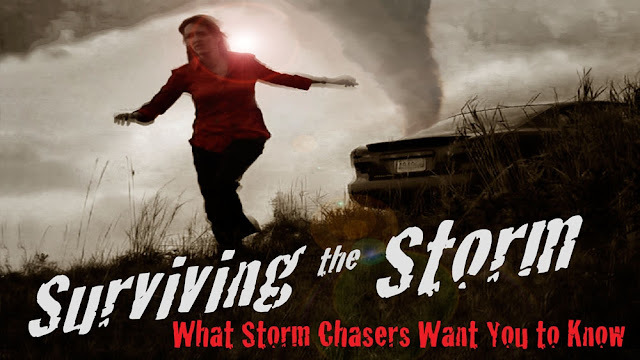 It's the first class I'm doing at Chaser Con in 5 years, so I've been working hard to make it interesting and useful for both newer chasers and more experienced ones. Thanks to Roger Hill for footing the cost and making it part of the convention fee. In the past it has often been an add-on extra cost for convention goers, instead of part of the convention ticket. So this is a good year to attend. And thanks to my wife for her patience and helpful comments while I've been putting this together. 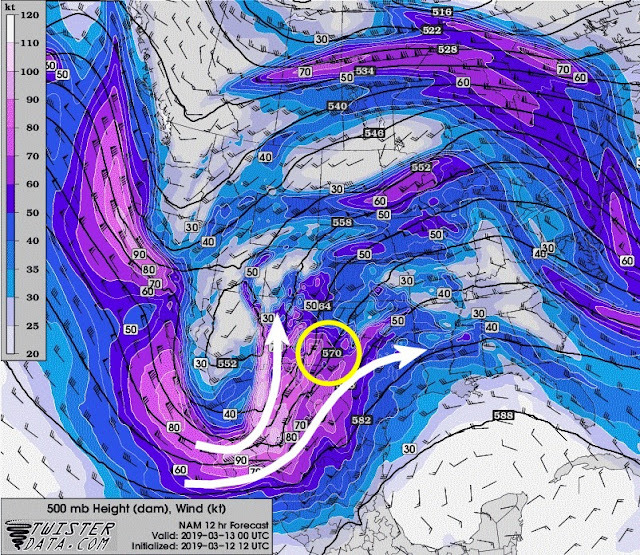 Part 1 - General forecasting issues, notes on basic meteorology related to severe weather, and factors more specifically related to forecasting supercell tornadoes. Part 2 - A detailed case example from 2018 using the material in Part 1, followed by two forecasting exercises for the class. Part 3 - More advanced topics, including skew T's and hodographs. 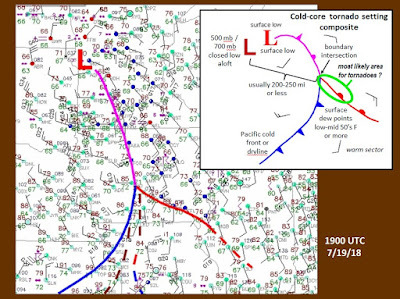 I'll also touch on cold-core tornado settings, upslope tornado settings, picking out a cell to follow, and patterns that produce tornadoes on multiple successive days. While the class won't be streamed online, I've had several people contact me about whether the class will be available later online or by DVD. I don't know about those issues yet, but my wife Shawna and I will provide some handouts for taking notes, and I'll see about putting all or part of my PowerPoint presentation online for a period after the convention. There's still time to register for Chaser Con... go to chasercon.com for more information, and click on "Register Now" at the top to register. Hope to see you there!